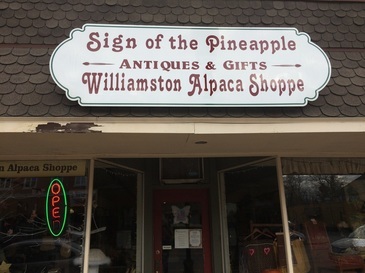 You can purchase Williamston alpaca clothing and gifts at the following store locations in and around the Williamston, Michigan area. We sell everything alpaca! Alpaca clothing makes unique and practical gifts. We carry: alpaca hats, alpaca scarves, alpaca toys, alpaca gloves, boot liners, blankets and much more. Call or visit the store locations below for more information. We are selling Survival Sox and Bootliners on Amazon! Alpaca clothing is usually made from the fleece that is shorn off the alpaca once per year (similar to the process used for sheep's wool). Alpacas were carefully bred for hundreds of years originally for Incan royalty to improve the quality of their fleece until it has become extraordinarily fine and warm. Alpaca fleece is 100% natural and comes in a wider range of colors than any other natural fiber. Clothing made from alpaca fleece is exquisite and sought after for its natural warmth and softness. It is softer, warmer, and doesn't have the bulk of sheep's wool. It also does not have lanolin which is the cause of some allergies to sheep's wool. For natural color, softness and warmth, you can beat alpaca clothing. The fleece from the suri alpacas is even silkier and shinier than that of the huacaya alpacas. Here at Williamston Alpaca, we breed suri alpacas and use the fleece to create lovely alpaca clothing and gifts. Williamston Alpaca is a small, family Michigan alpaca farm where we breed, raise and sell suri alpacas for sale in Michigan. We also create alpaca products from our alpacas' fleeces and these are available for sale in nearby store locations. You can also buy our alpaca clothing and gifts online.